Here's my new setup. I added a Walbro, Soldered the two pigtails together, then soldered 10ga wire to the positive and negative wires on the pigtail. The relay is hooked up the exact same, im just not using the factory plug pigtail that plugs into the pump. This way, it doesnt go from 10ga wire to factory wire, Its all 10ga. Since im running 2 pumps not, I didnt add another relay, I just bought a 60amp relay to replace the 30amp relay. so both pump's are triggered via fuel pump controller? what if one pump starts to die? Another thing what type of metal are these sending unit's made out of? It just look's like normal steal. And IIRC you will need to have this nickel plated to endure E85 also and brass fitting's will need the plating done. Or the whole unit will corrode over time. Correct me if I'm wrong. But I'm 99% sure!. Last edited by spoolinsti05; 10-25-2012 at 05:39 AM. The way I have it, bypasses the FPC. Im not using the body wiring harness for the power. Im using the relay's power which is fed from the battery. Im also grounding the pumps to the body by a 10ga wire. I feel that is the best method as it is getting direct power by the same gauge wire and it shouldnt have any current drop since the wire size isnt tapering down like it would be if you just tapped into the factory harnes. Well I'm going to try my third option and do a voltage drop test to see how it is. If it drop's anymore then .6v I'll ditch the FPC and run the pump 100% IGN on. I'll try to make a thread for this since the one's I've found are misleading mostly as far as maintaining the FPC. I see you picked 10ga the pump's are only like 16ga so your larger wire should help keep the drop to a minimum. Have you done a voltage drop test? I have not done one. I already put my pumps back in the tank and I really dont wanna take them back out. I guess I could atleast measure the current at the relay to get a estimate of what it is. Yeah, I figured the 10ga wire would handle both of the power and ground 16ga wires coming from the pigtails of the pumps. Last edited by banshee04; 10-25-2012 at 11:55 PM. YOu wired something wrong or your pump is grounding out on the sending unit. Your ground shouldn't be completing the circuit unless the key is on. OP, wiring looks 10000000000x better than the original lol. Only suggestion I would strongly make is that you install some kind of damper between the two pumps. Fast and cheap would be to get a large diameter (1/2 or bigger) fuel rated hose. cut about 4 inches in length of it, then cut it in half and slip a half between the two pumps, and put youre clamp back on. Do you have to splice the wires inside the fuel tank? Why not do the splicing of the wires above the fuel cover. I know that leaves some of the older wire but is it safe to have the connecting being made in the tank? Are you in the middle of doing this mod too or researching? Maybe I should wait until the fully photographed and clearly described how-to by you is developed. I have the stuff ready to do it, but I haven't done it because I don't quite need it yet. My pump is very close to being maxed out, so I may do it eventually, but right now I'm still getting enough fuel. So don't hold your breath for a write up. Yolo, my wiring kit comes in tomorrow so I think I'll press on. From the pic it does not look like 10 ga wires right above the pump. Those look like the original wires on the pump pig tails then you soldered the two pumps together with the 10 ga wire. Is this correct? Are the grommets you used on the plate aftermarket? Where did you get those? Thanks! Yeah, I was kinda thinking about something like that. Its completely safe. Nothing wrong with it at all. Yes, that is correct. The pigtail wires are 16ga I believe. I soldered both of the positive and ground together then I took some 10ga wire and soldered them to the pigtail wires. I got the gromments from O'reilly's. They were in the Help section. So is there a drop in power supply due to the pigtails being 16ga? I would assume not enough to be noticeable since it is such a short segment. Has anyone done this so that the relay is before the fuel pump controller? 30 - 10 AWG -- fused @ battery. 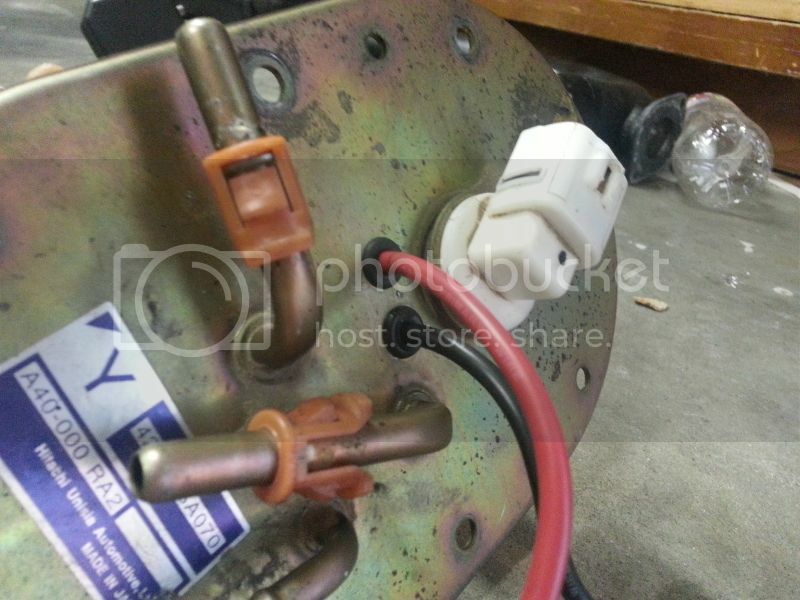 - Run 2 additional 10 AWG wire for pos and ground from the output of the fuel pump controller back to the fuel pump instead of the skinny factory wires. 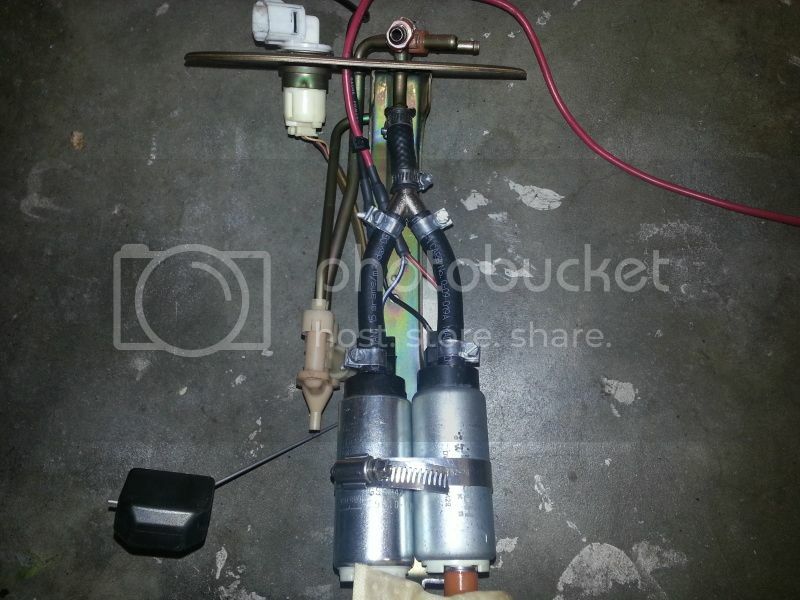 Now you should have lower voltage drop but maintain the fuel pump controller 33/66/100 switching. Seems like this may be good for cases like xluben, where they just need a small bit of extra headroom on a DW300 / aero340 size pump, but would prefer to keep the duty cycle changes from the stock controller. I just picked everything up from O'reilys... Anybody got pics of the rewire for 08+ STI's? I'm trying to figure out which is what from the stock harness so I can hook it up to the relay. The wiring diagram above for the relay seems simple enough, I just need to know what the stock harness wires are for the GR so I can get 'er done. Last edited by punchjamesarnol; 12-23-2012 at 08:54 PM. I woke up this morning to a dead battery using a ground from the chassis to the relay. So you mean to tell me that I need to run the ground from the FPC to the pump and the relay? So NO chassis ground? Wierd....Funny thing, I wired it like the diagram and my gas gauge was reading half of what it really was. I thought I bent the float arm while re-stallation of the bucket because when I filled up yesterday, the gauge only read half full. Anyhow... I hope to get this figured out soon.